It seems like Raekwon is out to knock Ghost of the top sport as Wu's most productive member and this continues with next week's release of Wu-Tang Vs Shoalin. 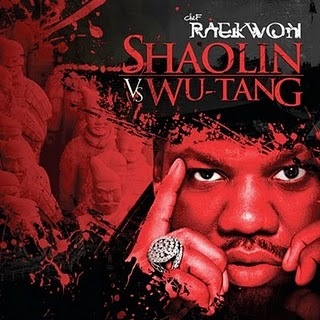 Shaolin vs. Wu-Tang is the fifth studio album by Raekwon, scheduled to drop on March 8. Confirmed guests for the album include Black Thought, Busta Rhymes, Ghostface Killah, GZA, Inspectah Deck, Lloyd Banks, Method Man, Mobb Deep, Nas, and Rick Ross, among others. With production from; Scram Jones, Erick Sermon, Havoc, Bronze Nazareth, The Alchemist and Evidence amongst others. Rae began writing the album in early 2010, and finished latter that year, with the album's completion being announced on December 7, 2010, on the Shade 45 Morning Show. Although a number of artists such as Scoop DeVille, Pete Rock, and Kanye West, were reported to have worked on the album at one time or another, their contributions did not surface on the final version.